GDP is largely a function of money supply growth and consumer spending. 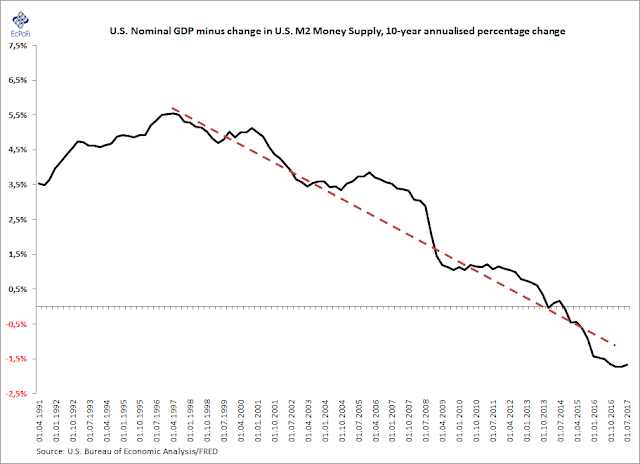 This then is what happens with nominal GDP growth in the U.S. if we remove the growth in the money supply that supported it. Little wonder the average American is increasingly dependent of debt to make ends meet.